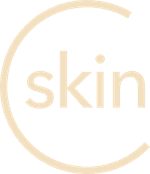 Skin peeling isn’t an uncommon issue for most of us but it isn’t a chronic issue for most of us at the same time. While in certain cases it can be a sign leading to a skin condition that needs attention. Nevertheless, it’s always important to know why your skin is reacting a certain way, it’s the biggest indicator of what’s going on inside your system and you need to listen to it. Treatment: The obvious treatment would be to moisturize your skin, avoid having a bath with hot water, warm water is preferable and prevent excessive scrubbing. Excessive sweating if turned chronic will become a condition that you need to seek medical advice for. However, in other cases, excessive sweating on your palms, underarms, and forehead, can lead to the peeling of skin. This could happen throughout the year for people who constantly sweat excessively, in which case it’s better to get it checked, for certain people it happens only in summer, where the peeling of skin on the palm could also result in burning and itching. Treatment: If you know that you’re prone to excessive sweating and skin peeling in the summer, make sure you drink plenty of water and stay away from heavily salty food. You can use ice to cool your skin, it helps with the burning. Treatment: Aloe vera is the best-known way of treating a sunburn. Before applying it make sure you wipe your skin gently, taking away all the extra peeled off skin. Have a bath in lukewarm water, not hot water. Moisturize your skin after this and prevent excessive scrubbing. Infections due to yeast such as Ringworm and other infections due to bacteria in our own body such as Staphylococcal Infection are some of the common infections that cause the skin to peel. Moreover, if skin peeling results in your skin breaking then bacteria could enter these cracks resulting in more infection. Treatment – The common treatment for Staph Infection is antibiotics to kill the microbes causing it, for Ringworm, it’s mostly OTC that’s used. Treatment– For Psoriasis the treatment includes Photodynamic treatment, For Eczema it may include avoiding hard soaps, over washing and moisturizing your skin, For Seborrheic Dermatitis the main treatment is moisturizing with Aloe Vera.